Apps crashing, iPad running slowly? Try that old IT cure – a restart! This is how. 1. 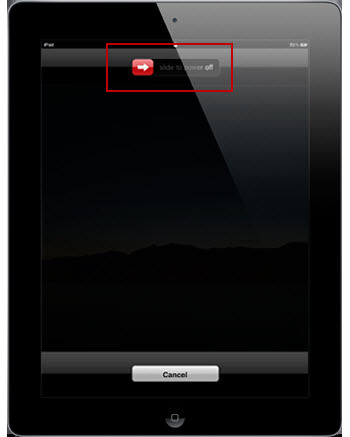 Hold down both the Lock Screen and Home buttons on your iPad until the following screen appears. Then slide your finger across to power off the iPad. 2. To power it back on, hold the Lock Screen button for 2 seconds until you see something on the screen.